A garage door opener offers you easy access to the home and also improves your security. Features like home automation connectivity and compatibility with smart devices make garage doors a lot more convenient in today's tech age. 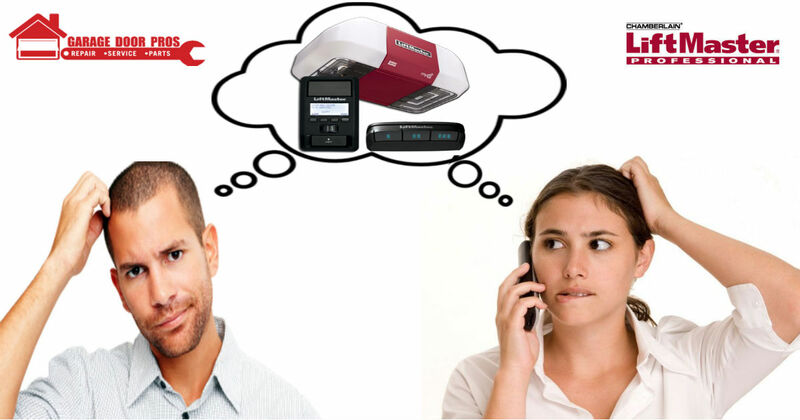 But with so many options in the market, choosing the right device can be quite overwhelming and confusing. However, with a few guides and tips, selecting the most suitable garage door opener should not be a challenge. Drive type is one of the most important considerations when choosing a garage door opener. The drive is what opens and closes the garage door. Your choice here will depend on a few factors such as whether you need a quiet garage door, cost-effective or well-rounded garage door. There are four main drive types i.e. chain-drive, belt-drive, screw-drive, and direct-drive garage door opener. Let’s take a look at each. 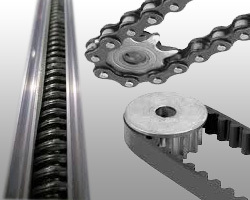 • Chain-drive openers: these are perhaps the most common and reliable openers in the market. They use a metal chain embedded on a sprocket to lower and lift doors. They are also the cheapest and strongest, but they can get a little noisy. They are convenient for heavier doors such as one-piece metal or wood doors, oversized doors, and highly insulated doors. If your door is on the opposite side of your bedroom, the noise should not be a big concern. • Screw-drive openers: this type of drive uses a long metal rod to close or lift a garage door. Due to the fact that it has less moving parts, the screw-drive is usually reliable. If you’re concerned about the noise, screw-drives tend to be somewhere in the middle. They are quite durable and best for one-piece garage doors. They require a little bit of maintenance including lubrication every once in a while to prevent wear and tear. • Belt-drive garage door openers: this opener utilizes a rubber belt to close and open the door. It doesn’t have loud metal parts, making it the quietest opener in the market. They are generally pricier and hence less popular in the market compared to the screw and chain openers. They are the best option if your bedroom happens to be adjacent to your garage door. • Direct-drive opener: this is another reliable and quiet option, but a bit less popular than other types, though they are quickly gaining popularity. The motor functions like the trolley, raising and lowering the garage door. The next most important component to look for is the horsepower (HP) rating. This denotes the lifting ability of the motor. Ratings typically range from 1/2 horsepower to 1 horsepower. A 1/2 horsepower motor is the most popular size and can lift a majority of standard garage doors. The 3/4 horsepower motors are suitable for slightly oversized garage doors and tend to be long-lasting, popular on heavier doors made of steel and some wood type. The 1 horsepower motors are the most versatile and powerful in the market. They are best suited for heavier garage door materials including industrial or commercial doors. In addition to horsepower and drive type, you need to also keep in mind the motor current. DC motors tend to be the most common in the market especially on the belt drive openers, but they are also being incorporated in the other drives. DC motors are often pricier but they tend to have softer starts/stops, meaning that your door will lift/stop gradually. DC motors also tend to offer battery backup power. Safety is a major concern when choosing your garage door opener. Keep in mind that your garage controls what might possibly be the heaviest, largest moving object in your house. Federal regulations require all garage doors to include sensors which prevent the door from smashing anybody who happens to be under it. Another common feature is the auto reverse, which stops and raises the door off any obstruction. Other door openers will stop the door if it gets in contact with an object. Others will shoot a lesser beam and stop or reverse if the beam is interrupted. Many latest garage door opener models such as the Liftmaster models have a wide range of safety features. If your opener doesn’t have these safety features, you might want to consider garage door opener installation of the latest models. As you can see, choosing the best garage door opener is not that much of a hassle, all you need is to consider the above named main features and functionalities. Instead of doing repeated Garage Door Opener Repairs/Maintenance, you might want to replace it with a new model once and for all. If you still find it difficult to choose the best garage door opener using this guide, then feel free to go with our recommendation of the LiftMaster advanced garage door openers. They have a wide range of the latest models with advanced technology such as Wi-Fi, MyQ smart remote control, timer–to-close systems and some of the most advanced security features. The Garage Door Pros service all of Southeastern Michigan. You can fine us performing garage door spring repairs and garage door openers repairs near you in Canton MI, Ann Arbor, Troy, Ypsilanti, and all other sounding areas.